SASKATOON - Linden Gaydosh is making yet another football comeback. "I just want to play ball,'' Gaydosh told the Riders' website. "It's been tough every time I've had it taken away from me and it's tough every time I want to come back. "(That injury) wasn't quite as severe so it didn't require surgery,'' Gaydosh said. "A cortisone shot managed to take out all the inflammation. "Every time I've had a major injury that thought has crossed my mind,'' he said. "The first time the back happened, I thought I was done. 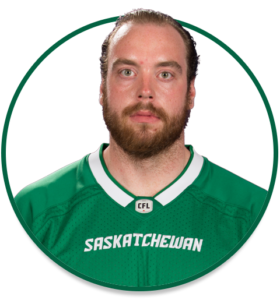 "We know what we've got in him,'' said Chris Jones, the Riders head coach/GM. "(Trade with Hamilton) was an opportunity to pick up a guy who did have a lot of experience in both leagues. "It's great, I love it,'' he said. "The Riders traded for me, so they're someone who wanted me, who believed in me even while I was injured - and that spoke volumes to me.